Hair should be maintained a lot if you want to look beautiful. Frizzy and damaged hair would make you appear unattractive as they are very hard to be styled and as also damaged hair looks unappealing look wise too. If you have split ends along with damaged hair or just have split ends then they too can make your hair appear unpleasing. Split ends should be treated as soon as possible as keeping them for longer time would not be a good thing to do. Below some tips on how to deal with split ends have been mentioned. - Split ends are caused when hair styling tools are applied in excess. The heat emitted from the flat iron, straightening iron or curling iron can make your hair damaged and split ends are seen clearly in damaged hair. So, you should not use these hair styling tools in excess. By not using them in excess you can treat your split ends. - Using a leave-in-conditioner would be a nice thing to do to conceal the split ends. Apply the leave-in-conditioner on the hair and the shine would hide the split ends temporary. - You should not comb the hair frequently. Also when you are combing the hair, make sure that you are using wide tooth comb as small tooth comb can create some problems while dealing with split ends. 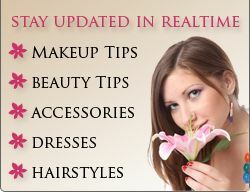 - You should also reduce the use of chemicals on the hair as they are also sometimes the reason of getting split ends. By dying the hair or highlighting or perming, chemicals are deposited on the hair follicles and they get damaged. So, you should avoid getting these treatments on the hair regularly. - Trimming the hair is also one good solution when dealing with split ends. You should get your hair trimmed in every 6 weeks as this will help you to maintain the hair in good condition. 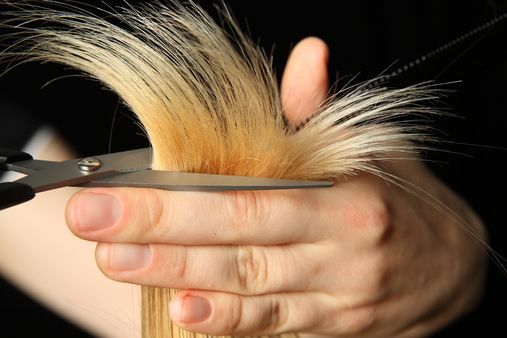 If you don’t trim the hair for say some 3-4 months then split ends happen to occur. So, you should religiously get a trim in few weeks. Keep in mind these tips and treat your split ends. Hair free from split ends would look beautiful and you will also look attractive. If split ends are not treated in early stages then it might happen that you won’t be able to try out different hairstyles as in some your split ends would be prominent and then you won’t look beautiful. Take care of your hair and treat the split ends so that you can enjoy the luxury of having the hair in the way you want.